"For serious garlic lovers only! Sounds just too weird to make, but really, if you're the adventurous sort and you think there's no such thing as "too much garlic," you'll want to try these." Vanilla - 1 1/2 tsp. Soak minced garlic in maple syrup minimum 30 minutes. While garlic is marinating, cream together the butter, sugars, eggs, and vanilla until light and fluffy. 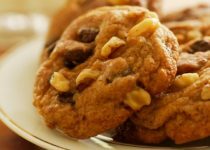 Combine the flour, cinnamon, baking soda, and salt, then add to cream mixture; stir the chocolate chips into the mixture (you can add a 1/2 cup of chopped nuts at this time, if you like). Add the garlic and syrup through a strainer, draining the syrup, add the minced cloves to cooking batter; stir well. (Reserve flavoured syrup for other use). Drop the cookie batter by tablespoons onto an ungreased cooking sheet, spacing about 2" apart. Bake at 375 degrees for 8 to 10 minutes until lightly brown (careful not to overcook!). Remove from oven and cool on racks. 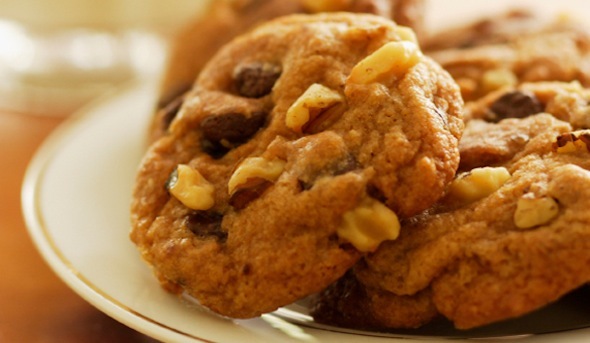 (Makes about four dozen cookies).